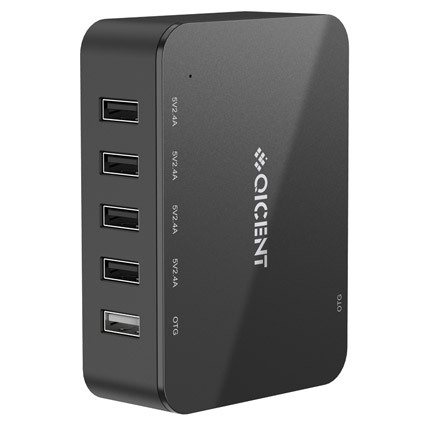 Qualcomm officially authorized chip supports 5V/2A, 9V/2A, 12V/1.5A three modes. 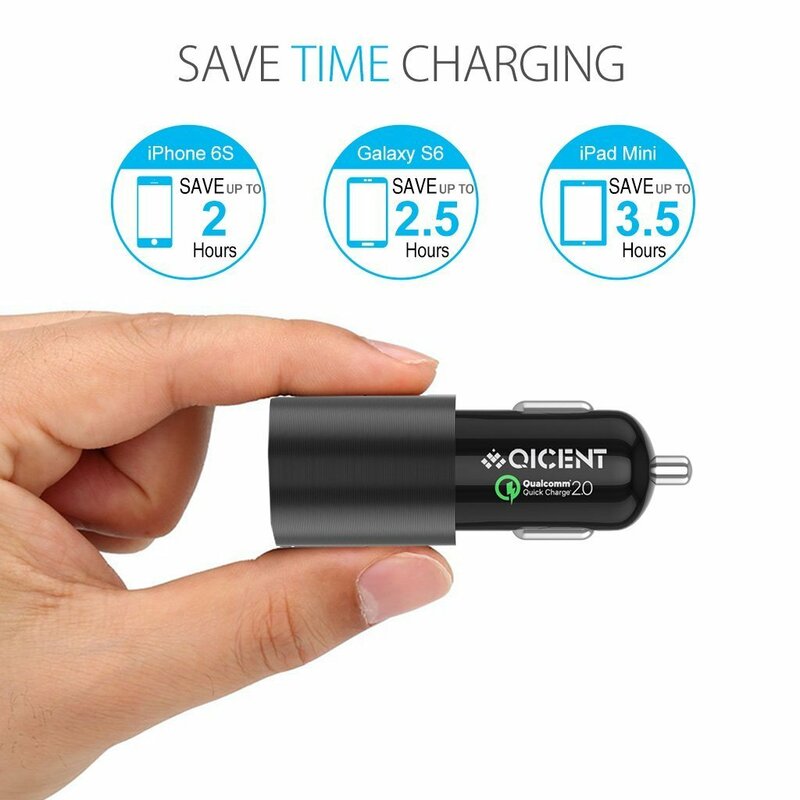 Car charger dual port can simultaneously charge two compatible models at Quick Charge Speed The quick car charger adopt qualcomm quick charge 2.0, up to 75% faster than a standard charger. 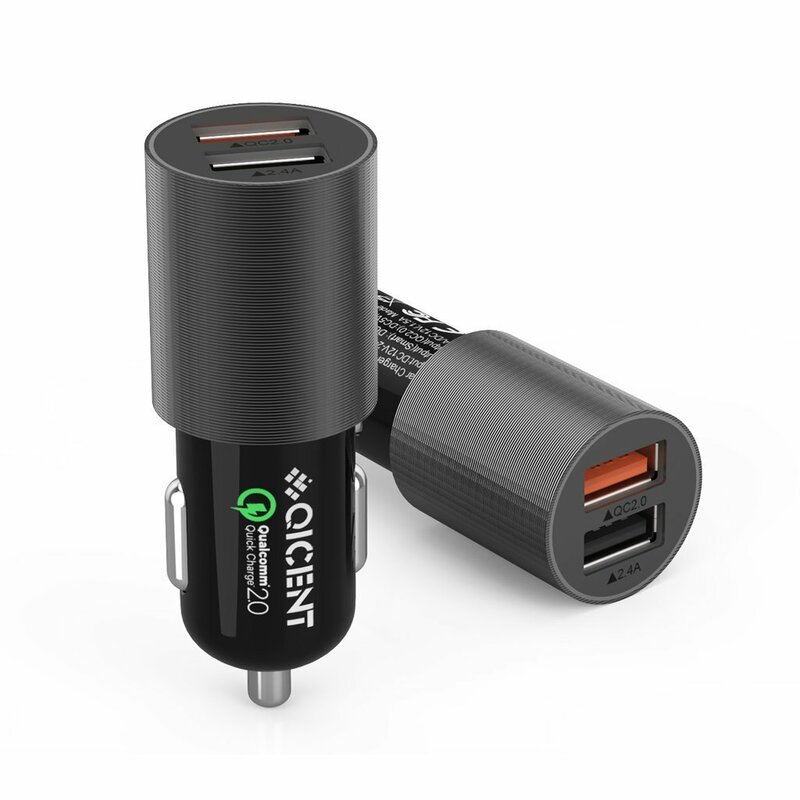 - Runshion usb car charger intelligent circuit design protects against short circuiting, over-heating, over-current, and over-charging. 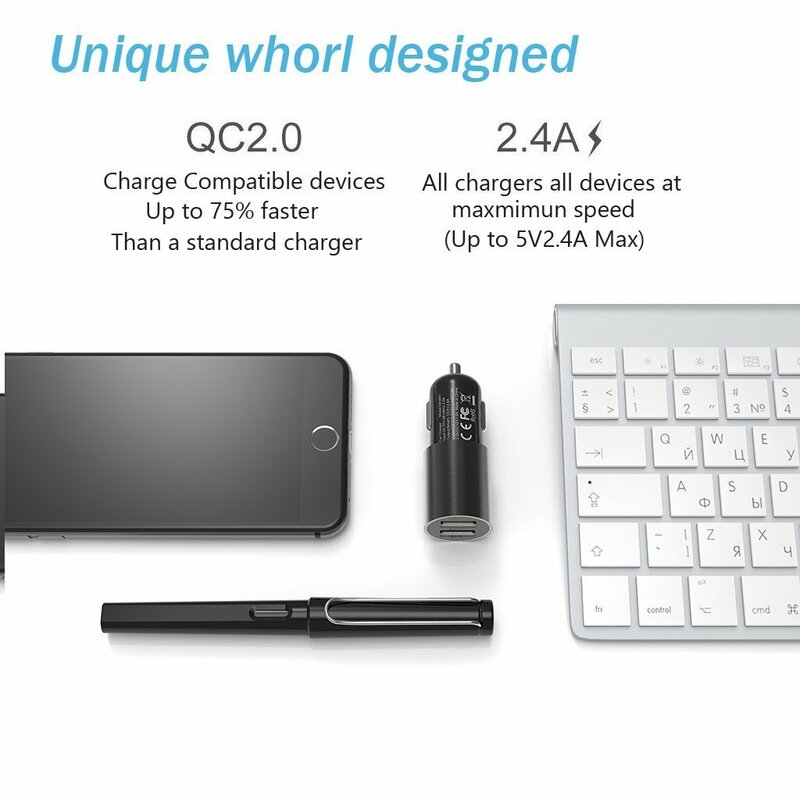 Charging stops when battery is full. 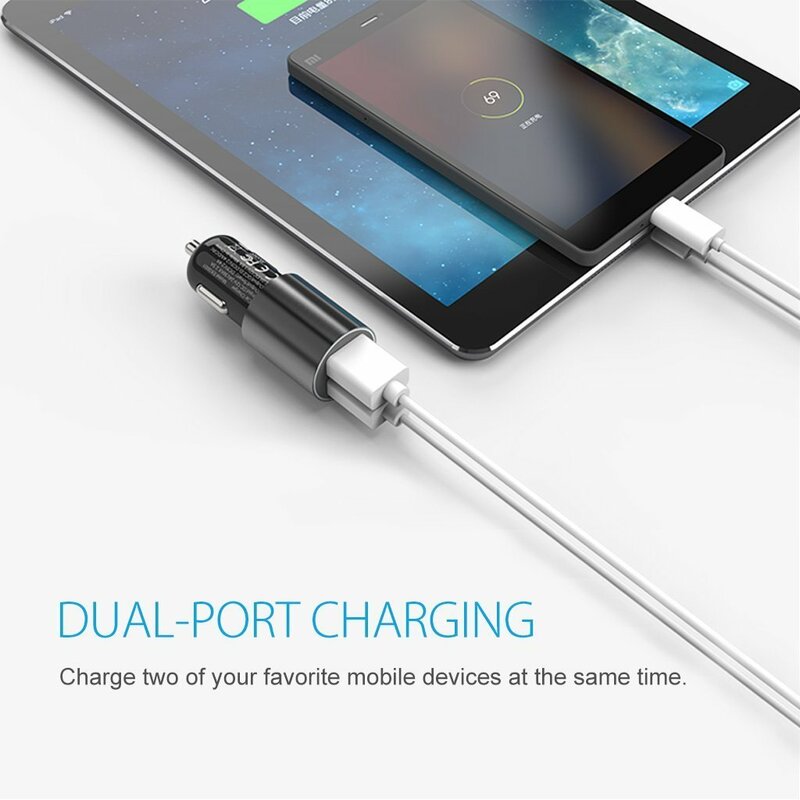 - This dual Car Charger made from fire proof materials for your safety. 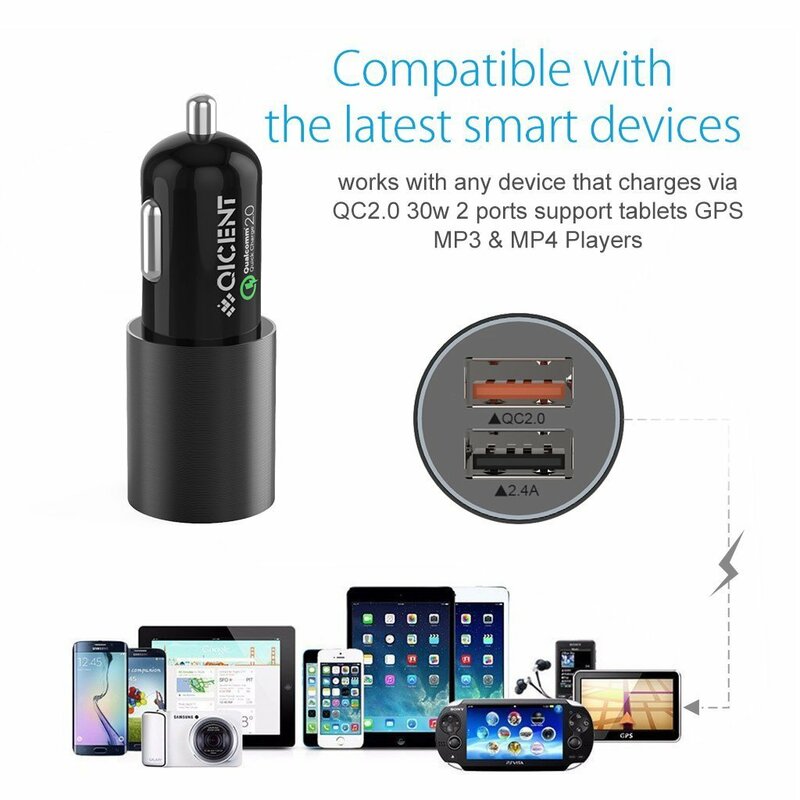 - Certified by Qualcomm, RoHS, CE, and FCC.